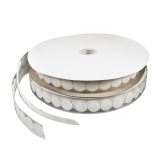 Magnetic Adhesive Tape is ideal for use in a variety of business settings for attaching lightweight point of sale displays to metal retail shelves. The tape is designed for use on metal, magnetic surfaces such as white goods. 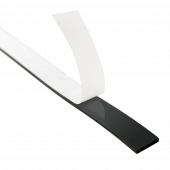 You can cut the tape to your desired length to suit your needs. What is the pull strength of the magnetic strip? The pull strength on the tape is 55g/cm². How does the Magnetic Adhesive Tape come? 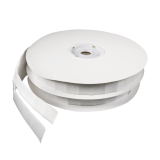 The tape is supplied on a 30m roll. 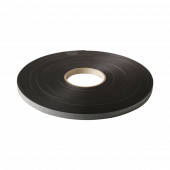 The tape is 1.3cm wide and 1.5mm thick.